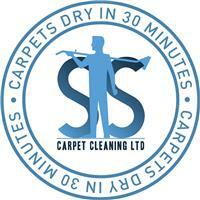 My name is Stephen Smyth and I am the owner and operator of SS Carpet Cleaning. Using the best carpet cleaning machines, chemicals and systems we always complete our work to the highest standard with a professionalism that is second to none. Customer satisfaction is my priority. It is the most important thing to us that you are happy with your clean every time and with that in mind we will always work with you to determine exactly what type of clean you require at a time that is perfect for you with the end goal being 100% satisfaction 100% of the time or your money back. We use the Texatherm Cleaning System, the Texatherm Cleaning System is a unique and patented process, launched in 1999 and now recognised as being market leading. Designed by carpet cleaners for carpet cleaners it has revolutionised the industry. The process combines chemical reaction with a heated pad in a way that creates a capillary wicking action, drawing the soil and staining up and out of the carpet fibres. The results are amazing with drying times as fast as 30 minutes meaning by the time we have packed up and left your premises your carpets will be clean, fresh and ready to walk on. All of our chemicals are child and pet friendly for that extra peace of mind. Quotes are free, and pricing is done on room size with discounts on multiple rooms or whole house cleans. Special care and attention will be given to spot and stain removal with most stains being removed successfully. Although we cannot guarantee that we will remove all stains, we will go above and beyond to make your carpet look the best it possibly can. To book a quote or clean, or simply find out why customers keep coming back to us again and again, simply call or email us now.